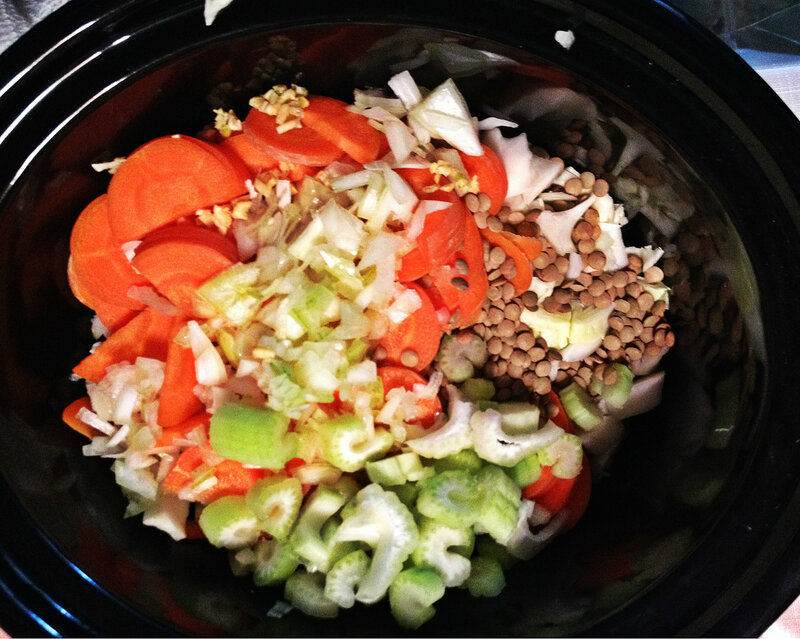 Low-Cal Cabbage Soup | eat. drink. be merie. 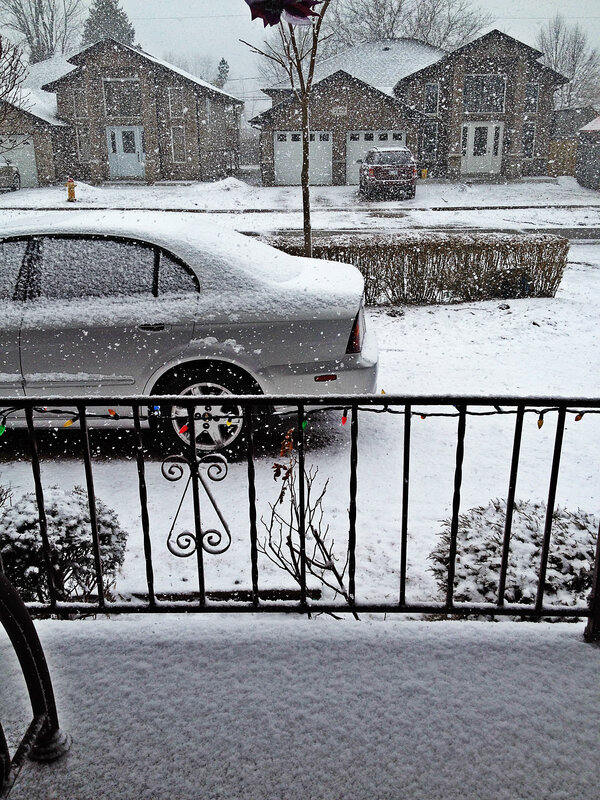 Yes, that is snow. No, I do not like it! It is that kind of weather that makes me want to curl up in bed all day with my little snuggle bear and have a Dora the Explorer Marathon. It is also the kind of chilly day that calls for a nice steaming bowl of soup to warm you up! 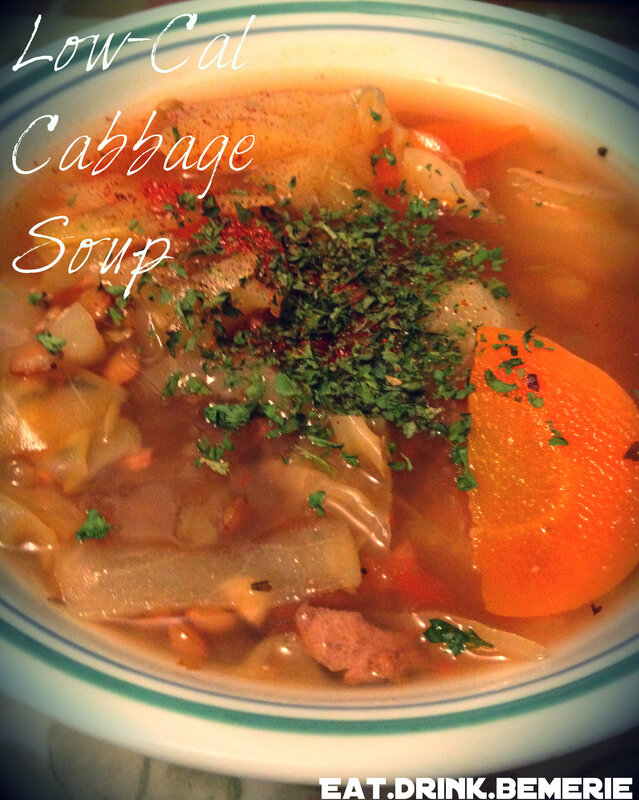 Today’s recipe is low-cal cabbage soup. 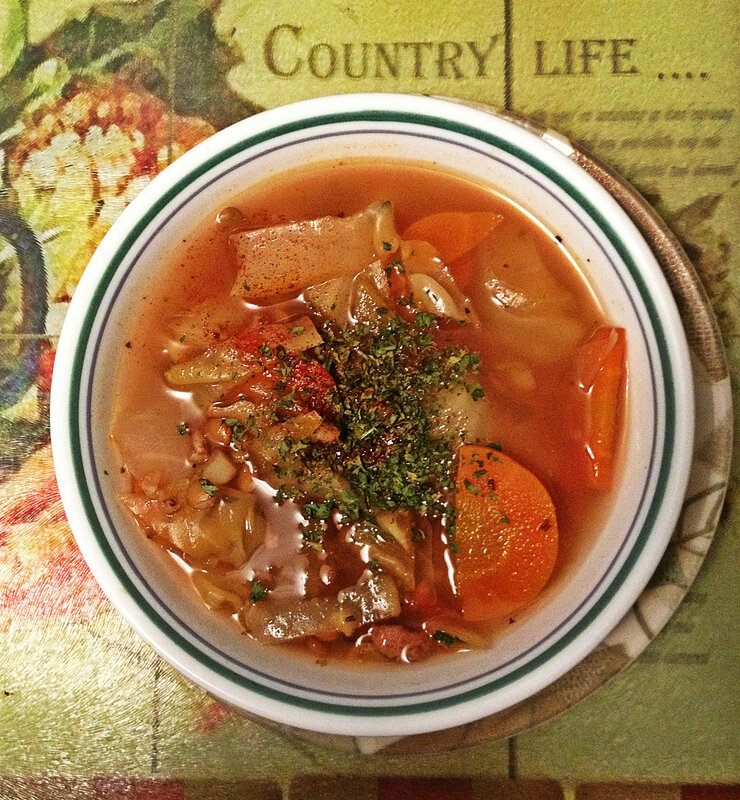 My aunt used to make cabbage soup for me all the time when I was younger (I think I was the only person who liked it! ), so I decided to try my hand at it. These are the vegetables that I used, but feel free to add whatever veggies you like. Just toss all these ingredients into a slow cooker and cook on high for three hours. Or, you can cook on low for 4-5 hours. You could also cook this in a large pot on the stove top on meduim/low heat. if you don’t have a slow cooker. Let me tell you, this just hit the spot! Grab a spoon, a cuddle buddy and keep warm!